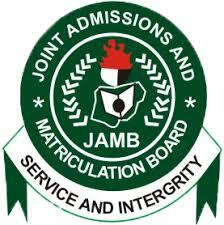 FUTMINNA Pre-degree and IJMB registration procedure for newly-admitted students for 2018-2020 academic session have been released. In other words, this is the registration procedure for candidates admitted into the Federal University Of Technology (FUTMINNA), Centre for Preliminary and Extra-Mural Studies (CPES), pre-degree programme for the 2018/2019 academic session and IJMB programme for the 2019/2020 academic session. Following the release of FUTMINNA Pre Degree & IJMB Admission lists for 2018-2020, admitted candidates are to register as follows. You can CLICK HERE to start your registration. Visit www.futminna.edu.ng to print admission letter. Proceed to CPES for physical screening and collection of PINs. Login to the portal with your form number (username) and portal access PIN. Click on ‘payment’ link at left pane of your portal. A payment information page will be generated for you to enter. Confirm these information and click on ‘submit’ to proceed to FUTMinna College paywindow. Payment is done through Debit Card (MasterCard – Most preferred) or Verve and Interswitch mag stripe. Enter ATM Debit card details (Card number, expiry date, CVV2 i.e. the last 3 digits behind your card, and Card Pin number). Note: This automatically debits your account with ₦78,000.00 for Pre-Degree Programme; and ₦115,200.00 for IJMB Programme. Also, ₦250.00 for bank commission is charged on each transaction. If payment is successful, the screen will display all the data you previously entered and a print button to print the payment document. You should also click the acknowledgment slip link to print and complete the online registration. Click on ‘upload’ link to upload scanned documents. Click on ‘personal detail’ to complete the form.